Simple, Sweet And Smashable! A perfect 1st birthday totally calls for an adorable Smash cake. 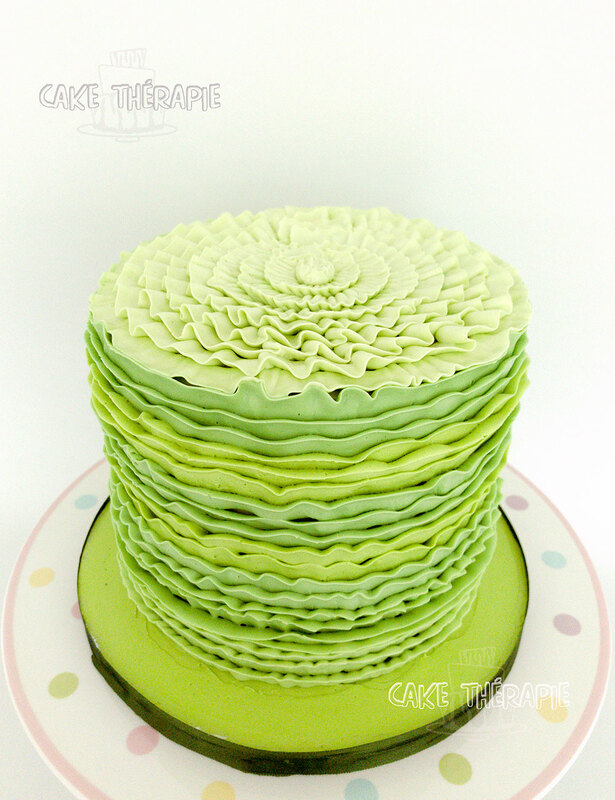 Smash cakes are such an adorable way to celebrate your precious little one's milestone birthday. It has been a trend for quiet some time now and I must admit I have only done a couple of them so far. As a baker decorator my practical mind questions the tradition of why let such a perfect cake go waste? But the Smash cake pictures of the baby smeared in cake and frosting, grabbing the biggest possible chunk of cake that his/her tiny little hands permit and the lightning speed that they gobble and nibble on it, it is definitlely worth a thousand more. On a hindsight, if it were for my little one, I would definitely be breaking my head over the cleanup rather than the cake. But that's just me . 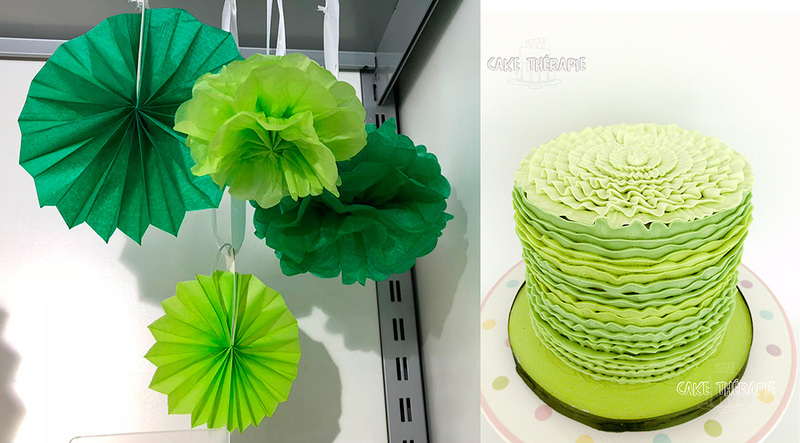 So just before I went for my wonderful Spring break holiday with die Familie, I had the opportunity to make this vibrant spring green Smash cake for little Sid. 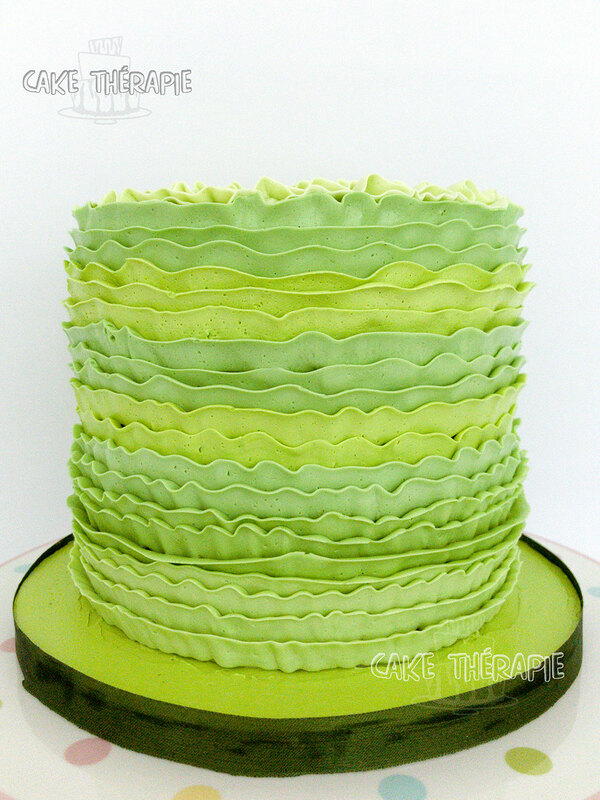 The cake was a moist chocoalte cake, layered and filled with strawberry frosting and decorated with buttercream ruffles. The image shared of the props and decorations were used as inspiration for both colour palette and design and I am totally pleased with how it tuned out. After having watched the video the lovely mother shared with me, I can very confidently say it was well accepted by Sid too .